2017. What a year, eh? 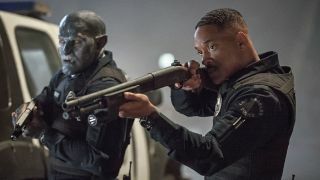 If you thought it couldn’t get any worse, then you haven’t seen the reviews for Netflix Original Movie, Bright. The Emoji Movie may have staked a claim to be utterly unwatchable, but at least they didn’t spend $90m on something so bad it’s been almost universally panned. The reviews have not been kind (except for one brave soul) – let’s take a look, shall we?